D-I-E-T… Yes, the dreaded four letter word that most of us have fallen victim of and surrendered to the false sense of security that looking slim and thin is ‘in’. Whether it’s the latest fad in weight loss pills, supplements, shakes, books or programs – most make big (and mostly false) claims in drastically reducing your weight in the least amount of time. Instant gratification that could compromise your health in the long run. Herbs can be a cheaper and healthier alternative to fight the battle of the bulge but do herbs that help weight loss really work? Many different scientific peer-reviewed articles and studies have been undertaken to investigate the effects of certain herbs to help with weight loss and the results are promising. We live in such an image conscious world where we are constantly inundated in the media and social media of images and perceptions that being thin and slim makes you more happier, more healthier and more ‘socially acceptable’. The weight loss industry is MASSIVE… and business is continuing to boom (the U.S weight loss market is worth a staggering $66 billion in 2017!) [Source]. And sadly, the stark reality is it’s enforcing a startling number of the population (and now it’s spreading to the even younger generation) to conform and crave to the toxic ideology of looking slim at all costs. These are some of the extreme methods that those in the pursuit of looking thin will consider. The best way to avoid these sometimes overrated (and ridiculous) gimmicks is to go the natural and herbal way. There are a number of herbs (proven by science) that can help with your battle to fight the bulge but they shouldn’t be used solely to achieve this. Black Seed has been hailed by some as “a true panacea”, “a universal healer” and “a miracle herb”. Thanks to its exceptional medicinal properties, over 150 studies alone have been conducted over the last five decades purely to investigate the chemical and pharmacological actions of the small yet potent seed. A review published in the Journal of Diabetes and Metabolic Disorder examined 33 different studies relating to herbal and natural weight loss remedies. 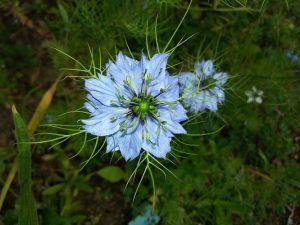 Studies with Nigella sativa and the other herbs showed significant decreases in body weight and seemed to have satisfactory anti-obesity effects. Caution – not recommended during pregnancy. 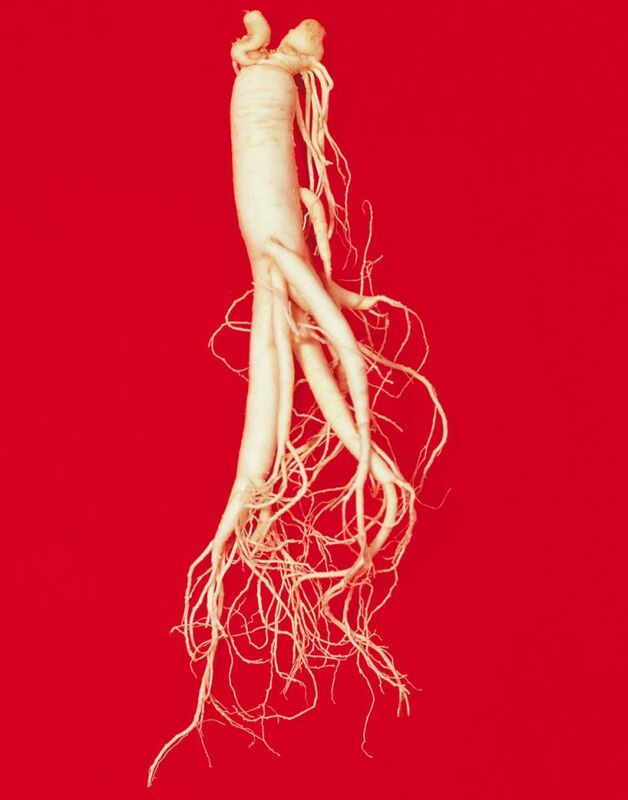 Ginseng is nicknamed the “King Of Tonics” and has been used widely in China for over 5000 years. The Chinese consider this vital herb a supreme remedy for all diseases. For many centuries, it was used to calm nerves, strengthen organs, increase mental ability, stop heart palpitations, brighten vision and promote a youthful feeling. It’s also classed as a stimulant and is taken to increase energy and enhance physical performance. Plus it is an adaptogen, meaning it increase’s the body’s ability to tolerate all types of stressful situations. Very much needed in this day and age. 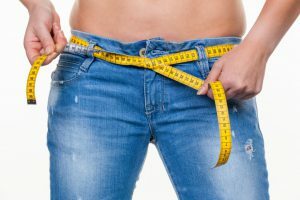 Gut microbiota is seen as one of the major factors involved in the control of body weight and the results of a study into the anti-obesity effects of Ginseng has indicated a weight loss effect and slight effects on gut microbiota in all participants. Caution – those who suffer from high blood pressure, narcolepsy or taking blood thinning drugs should avoid it. Guarana’s primary ingredient is ‘guaranine’ which is identical to caffeine and is notoriously found in energy drinks. Due to its high caffeine content (which contains 2.5 times more caffeine than coffee), it can act as a stimulant to accelerate body functions such as increasing the heart rate, digestion and respiration. 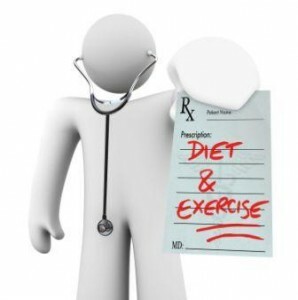 Stimulants offer a quick but temporary boost to your metabolism which may increase the rate you burn fat. It’s also a diuretic and can stimulate the nervous system and helps you fight depression and cope with stress, thus it may help you to avoid ’emotional eating’ which is one of the main causes of weight gain. Data from one study in mice showed that Guarana lead to an increase in energetic metabolism thus contributing to control of weight gain, even when associated with high-fat diet. Caution – those suffering from sleep disorders and anxiety problems should be wary when taking this in large doses. 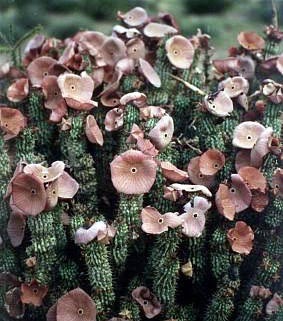 Hoodia Gordonii is known as a ‘natural appetite suppressor’ and has been used for centuries by South African Khoisan herders to tolerate long periods without food or water, whilst they were hunting and gathering. The main active ingredient (known as P57) is responsible for the appetite suppression that can “trick” the mind into thinking the stomach is full even if you haven’t eaten thus curbing the snack attacks and hunger pangs. Caution – those who have high blood pressure; diabetes; blood clotting disorders; who suffer from eating disorders or who are pregnant and nursing should avoid. Care should be taken though as a prolonged use could lead to malnutrition. This fiery little cooking spice does more than spice up your dish. The red hot healer’s main active compound ‘capsaicin‘ is well known to have thermogenic properties and weight loss potential. Having thermogenic properties means it can boost your metabolism rate and suppress your appetite. A study into the consumption of red pepper with every meal highlighted a feeling of fullness and satisfaction without a desire to overeat after the meal. An increase in metabolic rate within 30 minutes of ingestion was undertaken on a group of Thai women in another study. Faster metabolism means your body is able to convert nutrients into energy rather than storing them as fat. Caution – those who suffer from high blood pressure; blood clotting disorders; or are pregnant and nursing mothers or about to undergo surgery should avoid. Nicknamed ” the hot root”, Ginger stimulates the salivary glands, digestive enzymes for proteins and fats and due to its thermogenic properties, can increase metabolic heat to burn off the calories. Traditionally, it has been used in treating circulation, colds and chills and also metabolic ailments. Thanks to its anti-inflammatory and anti-spasmodic properties, it’s been shown to improve digestion (by removing toxins and extra waste in the bowel) which is essential for weight control. One study found that drinking Ginger tea after meals helped reduced feelings of hunger and increase satiety, which suggests that consuming this hot root can help in controlling appetite. 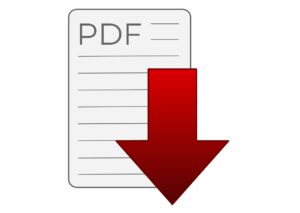 One review also summaries the effect of taking Ginger which demonstrated that it can reduce body weight, waist-to-hip ratio, hip ratio and increased HDL-cholesterol. Caution – avoid large amounts in pregnancy or if you suffer from peptic ulcers (as the stomach is already hot and overstimulated). 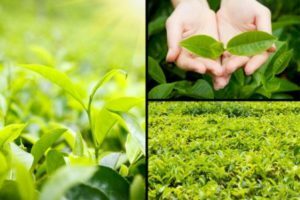 Although it’s not classed as a herb (as the leaves come from the actual tea plant camellia sinensis), Green Tea is the reigning champion when it comes to herbal alternatives that can help with weight loss. Green Tea contains caffeine which gives the drink its stimulant effects and can increase metabolism which helps to burn fat and calories. Being the second most popular beverage worldwide (water being first), it has had the most comprehensive research carried out that has been proven to be very effective in weight loss. This is due to the high levels of ‘polyphenols’ (potent antioxidants) which is responsible for its slimming effects. These powerful antioxidants prevent harmful free radicals, which basically means your cells are protected from invaders that don’t belong in your body! Polyphenols contain flavonoids called ‘catechins’ and the main one apigallocatechin gallate (EGCG) is the most active and most studied polyphenol. A 12 week study with 115 central obese women consuming high-dose green tea extract resulted in significant weight loss and reduced waist circumference. The age of science and medicine has bought us even more scope into the beauties of what certain plants and herbs can do for our bodies – knowledge that our ancestors knew centuries ago. The alarming change in our farming methods, our eating habits, our stress levels and our hectic yet sedentary lifestyles has doubled obesity in more than 70 countries since 1980. [Source]. According to the National Institutes of Health, “obesity and overweight together are the second leading cause of preventable death in the U.S, close behind tobacco use.” [Source]. Now that’s scary data to know. It seems the evidence for herbs that can help with weight loss seem very promising, but don’t be fooled for one minute that using them purely to achieve this will work. The sad reality is there is no magic pill, drink, potion, lotion that can melt those pounds off without much effort on your part. The keyword is ‘helping’ and herbs are considered excellent alternatives to aid body weight and in maintaining a healthy body. The mantra of regular exercise, a balanced diet and cutting down on stress maybe hard work to fight the battle of the bulge but at least it wouldn’t jeopardise your health in the long run. Have you ever tried natural remedies for weight control? Have you used any of the herbs mentioned to help with weight loss? How did it work for you? I’d love to hear your thoughts, experiences and comments on the subject. Herbs can be a cheaper and healthier alternative to fight the battle of the bulge but do herbs that help weight loss really work? 7 proven herbs are discussed. Does Herbal Tea Help You Lose Weight? Great overview of herbs that can support your efforts to lose some pounds. Hoodia gordonii was knew to me. Thank you for bringing it to my attention. Although I don’t primarily aim to lose weight, I often struggle with a frequent hungry feeling. Maybe that plant can help me. I’m a big fan of ginger and black seed anyways. I like that you put it into the right perspective, that dieting and exercising are inevitable. What daily amount/dose would you recommend for Guarana? Thanks for your positive vibes. It’s difficult to say what a recommended dose should be as it can depend how the herb is taken. Whether it’s a supplement, dried herb, dried powder, tincture, oil etc, each will be different. As long as you don’t exceed the recommended dose, then you will be fine, because don’t forget that guarana contains 2.5 times more caffeine than coffee! Thanks for reading and peace be with you. I was happy I came across your article before reading a word of your article, and that’s because it’s about herbs, a great natural remedy, and one I’m used to speaking about. I like that you listed Justine, it was the one I was looking for, and wanted to learn more about, and you taught me just that. It’s dangerous if used in high amounts, but in moderation, you can increase the rate that fat burns. Cayenne pepper is an awesome infridient, I used it all the time, and especially the active ingredient capsaicin. I’m amazed to see how it acts so soon within 30 minutes, and it’s compound properties that drive it to help suppress your metabolism, while increasing metabolism. I’ve always used it as a topical/analgesic for times of inflammation and pain, and it works wonders. Now i see how versatile it actually is. Like you did state, there are so many pills out there, why not try something more natural. I’m on the same boat as you are with trying to get others to understand the healing and safe powers of them, but there are just so many medicines with side effects that can hurt you that always gain the most attention, sadly. Thank you! You’re most welcome Michael! So happy to know you love your herbs and appreciate their healing powers. It’s my mission to empower people to embrace their health through herbs and natural healing rather than reliance on Big Pharma, who are purely profit over health. I hope to see you around. Peace be with you. Super clear infographics! Your “7 Proven Herbs That Can Help Weight Loss” graphic is pretty enough to print out and use as an inspirational poster. I love that! The only herb on that list I might argue with is Black Seed. It has lots of benefits, but it is a diuretic. I think when people discover that their “weight loss” was only water weight, which is what happens when we take diuretics, it is really discouraging and can send people right back to bad habits. I appreciate your comments. Yes, Black seed is a diuretic, and along with laxatives, they can help to remove water and food weight before digestion begins and help your body reduce the feeling of bloatedness. The herbs that I’ve mentioned in the post are to help with weight loss – the keyword being ‘help’. They shouldn’t be used solely for the purpose to lose weight. Although herbs are natural and healthy, they are NOT synonymous with being harmless or safe. Everything in moderation is my motto! Hope that helps and have a great week. If you look in the stores there are lots of supplements that promise to lose weight by taking a magic pill. But, in reality it doesn’t work like that. 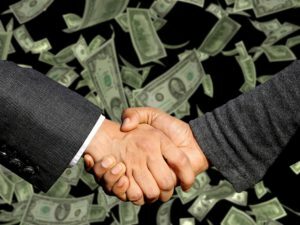 Don’t get me wrong there is a lot of money in the industry, but the way companies go about it is all wrong. For instance, they put the words “proprietary blend” on the label. This just means they don’t tell you the exact amount in the supplement. It could be a trace and that is a proprietary blend. But, one of my favorite herbs to use is ginger. I love the antioxidants in the herb. I actually use it when I have a cold and it helps clear up my chest, too. But, have you ever heard of ginger essential oil? It’s one of my favorite essential oils and it’s a very uplifting oil. I love ginger! It’s one of my favourite herbs to use at this time of year. I drink a cup of ginger tea with honey and lime juice first thing in the morning on an empty stomach. It helps to keep me warm and boosts my immune system too. Personally, I haven’t used ginger essential oil as I would usually prefer to ingest it but I’m sure with any essential oil, when used correctly, it can benefit the body, mind and soul. 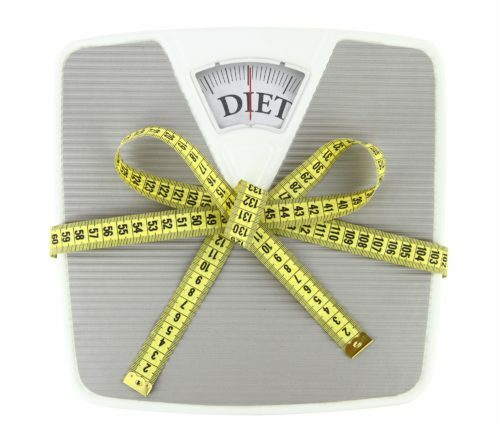 Fantastic article on herbs that help weight loss. I have been a huge health fan for 30 years. I use a combination of weights and cardio and for the last 15 years have done pretty good with a clean healthy diet. That being it’s always great to learn about natural ways to help lose weight such as herbs. I had heard about panex ginseng and green tea before as a natural weight loss resource. One of my friends swears by green tea. When I’m in the pre-summer season and I want to lose a few pounds and lean up I think I will try the panex ginseng since I’ve heard good things about it. I’ll probably give black seed a shot as well since it’s supposed to be wonderful. Thanks for the awesome article! You’re so welcome! It’s great to hear you’re health fan too. Give the herbs a try and let me know of your experiences with them. Personally for me, the black seed oil that I take on a daily basis has really helped with insomnia and hay fever. You can read my positive health experiences here…. I liked your post, I am overweight and I like the option of taking teas. I read all the benefits, but didn’t find where to buy those plants, can I buy them in a market? is it possible to find them in US? The ones I have seen are green tea, ginger, and ginseng. Thank you for sharing this post. Some of the obvious herbs like ginger can be purchased in any market. Green tea can be too but most often they’re the cheaper variety. Health stores or online stores are your best options as you can buy organic and more herb-specific types, for example, oils, dried herbs, tinctures etc. I’m sure they will be available in the U.S too. The Black Seed oil that I use offers FREE shipping worldwide. Here’s the link if you’re interested. Have a great weekend. Peace be with you. I just love the fact that this article recommends organic herbal tea instead of crazy pills and insane workouts. This is so refreshing and I am loving it. First of all I love of these..the ginger, yum! I usually drink it with some warm milk, its delicious. I am definitely bookmarking this post for future reference. Thanks for sharing. Ginger’s one of my favourites too. At this time of year I would drink ginger tea with honey and lemon first thing in the morning on an empty stomach. This helps to keep me warm through the cold dark days and boost my immunity up too. Have a cool weekend and peace be with you. Wow, what an interesting article! Losing weight has been something I have been struggling with since I was 13 years old. Since I’m a proponent of natural weight loss remedies, I would love to try some of these herbs. The next time I go to the grocery store I’ll buy cayenne pepper and green tea. Thanks for sharing this valuable information. You’re most welcome Ruya. Pop back some time and let me know how you got on! Okay, never heard of freezed dried poop pills, so yeah that is extreme! I’ve never actually been that active with using herbs for weightloss. The only thing I do for years now is drink herbal tea. Not for weightloss, but more because I like it and it calms my mind after a stressful day. I agree that in our modern society people are always looking for easy ways to lose weight, which results in buying a lot of crappy products that claim wonders. Your article to use herbs for weightloss is another great angle in finding a healthy way to lose weight. Thank you for that! Happy to hear you like your herbal teas because you’ve definitively come to the right place! We’ve all been victims of the weight loss products fiasco so writing this post highlights that herbs are great to use for this purpose but shouldn’t be relied on solely to achieve this. Thanks for stopping by. Peace be with you. Very cool website design! Just looking at it makes me feel healthier :). I like natural ingredient because I think that nature does provide everything we need to be healthy, we just haven’t discovered how powerful the healing power of nature is. It is amazing to me that the solution to most of our health issues could be growing right under our noses! The ancient tribes of the world did not have pharmaceutical companies and so they had to rely on the what nature provided and they were pretty healthy right? I think your warnings under the ingredients are excellent. It is good that people realize how [powerful these natural remedies are and that you should always respect nature. I totally agree Renton! I’m still spellbound at what nature has to offer for health. For me, one of my favourite plants is Nettle, the humble garden weed that most people git rid of because of what they are. Our ancestors really knew how to heal themselves with the power of plants and with the advancement of science and technology in our era – only more can be discovered about their beauties. Thanks for sharing your thoughts and peace be with you. A really good question in your title – and you’ve done an excellent and interesting job of trying to answer it. I’ve often wondered about these super-herbs that have the ability to aid any sort of diet, surely there has to be some sort of catch that nobody is mentioning? For example – I was once recommended taking green tea to cut calories…but surely this cannot work by itself? I can understand herbs being PART of a weight loss program, but surely they can’t reduce weight by themselves? Herbs are a great way to implement in your diet for whatever reason you’re trying to achieve, but as I mentioned in my post, they shouldn’t be relied on solely to do this. Effort needs to put in your part in order to succeed the outcome – and generally having a healthy diet and regular exercise are a great start. Thanks for your comments and have a great weekend. Peace be with you. I’m a regular drinker of green tea, but I don’t know whether it helps with weight loss. However, a warm cup of green tea is relaxing at the end of the day. Natural remedies are normally a lot safer than a lot of the drugs sold. Another natural remedy is oil pulling with coconut oil to relieve dental problems. Adding more coconut oil to one’s diet might also help with weight loss. I have heard of oil pulling before and I’m sure with the abundance of healthy fats in coconut oil it can help with weight control. I’m a huge fan of green tea especially with meals as they’re great for ‘cutting the grease’ in greasy foods! Have a blessed weekend and peace be with you. Wow, this is quite interesting and I’ve never looked as herbs as something that helps you lose weight. I’ve only used green tea, but it’s good to know other herbs that help you also. Now I also see that at the end of each herb (except green tea), that you have a ‘caution’ section. I was quite alarmed by that because there could be cases where you just aren’t aware of the symptoms. Eg. what if you aren’t aware of having high blood pressure? Would you consider it somewhat risky? Bottom line, as you said it, herbs only help to a certain extent. If you don’t do your part, no herbs can help you lose weight. Thanks for sharing! That’s a great question. Herbs are NOT synonymous with safe or harmless. Even too much of something like herbs can have a risk factor as some herbs are more potent than others. My motto is ‘everything in moderation’ and that goes for herbs too. IMHO, not knowing of a certain condition you might have won’t necessarily put you at harm if you don’t go crazy and just use a herb for a particular ailment. Have a great week and peace be with you. i just read your article, I am not sure if I can trade my coffee for herbs, I must admit I have tried it and it doesn’t have the same effect. However you are spot on with herbs first thing in the morning is a great way to get the body going, some very interesting facts mentioned that I had no idea about, thank you for an excellent post. I must admit I’m a sucker for coffee too. Need that coffee to get me through the morning! However, I do tend to use some herbs first thing in the morning on an empty stomach before the tasty caffeine rush! Glad you found the post useful and thanks for reading. Peace be with you. i’m pretty sure herbs are good for your body if they are natural, so I don’t see why they can’t be good for any diet you’re working on. I have heard ginger is good for weight loss, so I agree there! Herbal tea is great for the mind as well as the body. Absolutely! Herbs are plants grown on God’s green earth, so definitely all natural and good for the body, mind and soul. Every culture, past and present, has relied on the diverse array of healing plants for their therapeutic and beneficial properties. Plants are the basis upon which all living things depend on. Whether it is directly or indirectly, humankind relies on plants for food, oxygen, clothing, fuel, building materials and of course, medicine. The herbal teas you’ve listed here seem very exotic, I’m glad I learnt so much from your article. Among the seven teas, I’ve only tried ginger and green tea. I love them for their taste and fragrance, not so much for weight loss. But it’s good to know that there are so many choices of herbal teas when it comes to losing weight naturally, much better to do away with the pills, injections and surgery! Thank you for this meaningful post, I enjoyed reading it. You’re most welcome and so glad you found my post interesting. At this time of the year, I usually drink a hot cup of ginger tea with lemon and honey on an empty stomach first thing in the morning. This helps keep me warm through the colder days coming! Plus, I always drink green tea with my meals to help ‘cut the grease’ in certain foods. Knowing they both aid weight loss is a bonus!